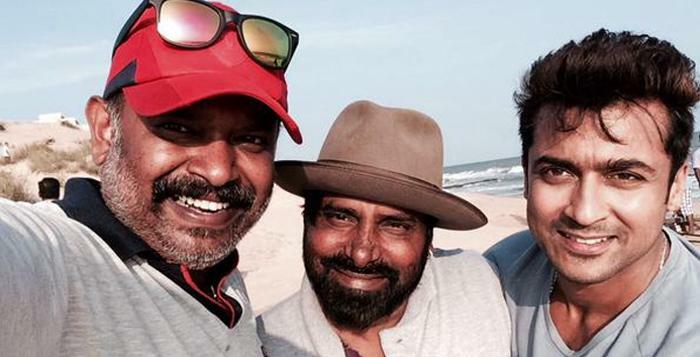 Actor Suriya has almost completed shooting for his upcoming film ‘Masss’, directed by Venkat Prabhu and produced by K.E. Gnanavel Raja of Studio Green Films. The film also stars Nayantara and Pranitha in female lead roles with an ensemble star-cast of Parthiepan, Samuthirakani, Jayaram, Sanjay Bharathi, Karunaas, Danny of Idharkuthaane Aasai Pattai Balakumara fame in important roles. Yuvan Shankar Raja has composed music and cinematography is handled by R.D. Rajashekar. Recently, Suriya happened to meet his fans during a special occasion and when one among them questioned on when would be the film releasing, he openly admitted that the plans are going on to release by May and there are some CG works that will take three months to wrap up.